New Delhi : Zoya Akhtar's upcoming movie 'Gully Boy' is trending among youths these days for its differently styled songs and dialogues. 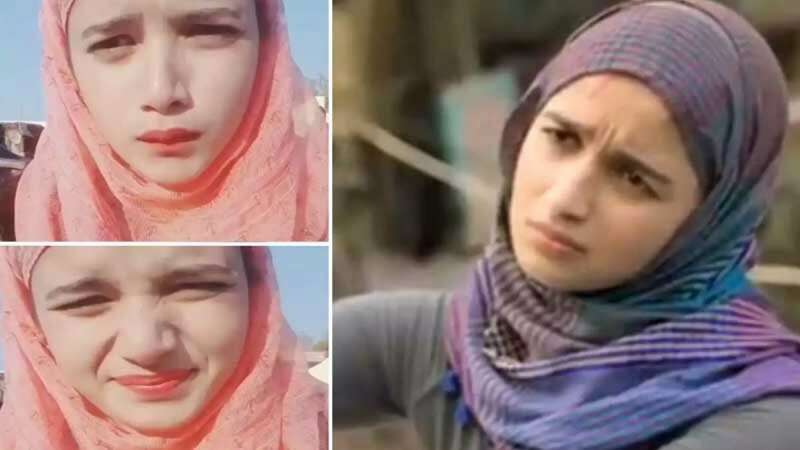 A video clip of Alia’s ‘dhontungi’ dialogue caught attention from everyone as it featured her lookalike, who goes by the name Sanya on Instagram, aced it to perfection. Watch how well the doppelganger gets the lines: “Mere boyfriend se gulu gulu karegi toh dhoptungi na usko”. Her post has comments like “exactly like Alia Bhatt” and “thought it was Alia herself”. The makers of the movie released a new dialogue promo from the movie on Monday. In the scene, the duo is in a bus when Ranveer shows her a comment by one of his female admirers. An irritated Alia counters Ranveer, gets the girl’s number and actually dials her, perhaps setting up a date for a gory fist fight. Ranveer Singh and Alia Bhatt starrer Gully Boy has been scheduled to release in theatres on February 14.